When I started writing my first book I decided to take a style of writing that was a tad bit confrontational. Career advice, especially one that involves self-introspection is like bitter medicine and when you are trying to convince the world that their problems are their own fault, you have to assume a tone that is (for lack of a better word) authoritative. When I picked that confrontational style of writing, little did I realize that the cloud of self-introspection and doubt would haunt me quite literally with every chapter that I would add to the book. I mean, who was I to give career advice to anyone? Maybe my dozen+ promotions in the last 14 years were just a rather strange coming together of luck and timing. Maybe all my hikes were just a result of the fact that I happened to be in the right industry, at the right place with the right teams. I am not the richest person on the planet, nor am I the smartest. I am not the most successful person to have walked this planet either. In my past, I've been part of one colossal failure and have run away from one entire project while it headed towards disaster. And now by assuming a tone of a person who knew what he was talking about, wasn't I being what you would call a... phony? I've got 30 domains and I've only done something awesome with 3 of them. Sometimes when I log into my DNS manager I just see 27 failures. I think to myself, there's 27 potential businesses, 27 potential cool open source projects just languishing. If you knew anything you'd have made those happen. What a phony. I hit Zero Email a week ago, now I'm at 122 today in my Inbox and it's stressing me out. And I teach people how to manage their inboxes. What a phony. When I was 21 I was untouchable. I thought I was a gift to the world and you couldn't tell me anything. The older I get the more I realize that I'm just never going to get it all, and I don't think as fast as I used to. What a phony. I try to learn a new language each year and be a Polyglot Programmer but I can feel F# leaking out of my head as I type this and I still can't get my head around really poetic idiomatic Ruby. What a phony. 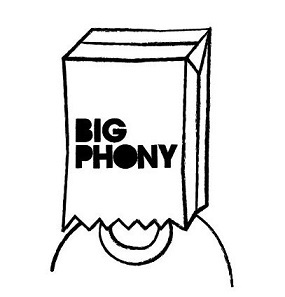 Every creative person worth his salt feels like a phony sometimes. Most creative individuals feel like that with most creative endeavors they undertake. The interesting thing about this weird combination of self-introspection and self-doubt is that it's a two edged sword. It can motivate you and push you forward. Or it can cripple you and cast clouds of anxiety which can forever stop you from drawing your art in bold colors and confident strokes and just push you towards the side of safe. When it comes to our creative endeavors, each artist goes through his / her own bouts of ups and downs. At times the stars align, everything falls in place, your 10000 hours of hard work results in flow that ascends you to a level that makes you shine and others look up to you like you're a reflection of some form of excellence. Because in the end it's like this, OK -- centuries ago in the deserts of North Africa, people used to gather for these moonlight dances of sacred dance and music that would go on for hours and hours, until dawn. They were always magnificent, because the dancers were professionals and they were terrific, right? But every once in a while, very rarely, something would happen, and one of these performers would actually become transcendent. And I know you know what I'm talking about, because I know you've all seen, at some point in your life, a performance like this. It was like time would stop, and the dancer would sort of step through some kind of portal and he wasn't doing anything different than he had ever done, 1,000 nights before, but everything would align. And all of a sudden, he would no longer appear to be merely human. He would be lit from within, and lit from below and all lit up on fire with divinity. And when this happened, back then, people knew it for what it was, you know, they called it by its name. They would put their hands together and they would start to chant, "Allah, Allah, Allah, God, God, God." That's God, you know. Curious historical footnote: when the Moors invaded southern Spain, they took this custom with them and the pronunciation changed over the centuries from "Allah, Allah, Allah," to "Olé, olé, olé," which you still hear in bullfights and in flamenco dances. In Spain, when a performer has done something impossible and magic, "Allah, olé, olé, Allah, magnificent, bravo," incomprehensible, there it is -- a glimpse of God. Which is great, because we need that. But, the tricky bit comes the next morning, for the dancer himself, when he wakes up and discovers that it's Tuesday at 11 a.m., and he's no longer a glimpse of God. He's just an aging mortal with really bad knees, and maybe he's never going to ascend to that height again. And maybe nobody will ever chant God's name again as he spins, and what is he then to do with the rest of his life? This is hard. This is one of the most painful reconciliations to make in a creative life. The problem here isn't just about feeling like a Phony. The problem here is that we often confuse having an opinion or telling a story, or giving an awesome performance once with having authority or being an expert who has to be right and awesome all the time. When you write a book, build software or ship any creative work, you are expressing an opinion or telling a story. You may express your opinion strongly, or tell your story articulately or you may give an awesome performance once - but that doesn't make you an authority or an expert who will never fail again. The problem is; the world sees you as an expert; when you know deep down inside that you are still an aging mortal with inherent limitations and flaws, walking down the path of life long learning, failing every now and then and learning from those failures. Suddenly the burden of failing seems higher than it has ever felt before. Suddenly the repercussions of sounding like an idiot seem huge. When you are dancing the fine dance of drawing in bold strokes and also being authentic in your self-introspection, self-doubt is a part of the game; especially when you know that you are going to fail again and again and again and now that you've been awesome once, twice or a few times, your next failure is just going to grab that much more attention. This is how I've started to think, and this is certainly how I've been thinking in the last few months as I've been working on the book that will soon be published, as the dangerously, frighteningly over-anticipated follow up to my freakish success. And what I have to sort of keep telling myself when I get really psyched out about that is don't be afraid. Don't be daunted. Just do your job. Continue to show up for your piece of it, whatever that might be. If your job is to dance, do your dance. If the divine, cockeyed genius assigned to your case decides to let some sort of wonderment be glimpsed, for just one moment through your efforts, then "Olé!" And if not, do your dance anyhow. And "Olé!" to you, nonetheless. I believe this and I feel that we must teach it. "Olé!" to you, nonetheless, just for having the sheer human love and stubbornness to keep showing up. And so in a world where most of us fail most of the time and yet we continue to celebrate success and use it as a Metric, everyone is a phony at some level or the other. The question isn't if you are a phony. The question really is, do you keep showing up. In the end my book was completed and published. It also ended up being in the Kindle Best sellers list for sometime and received a few good reviews; but I'm still not certain that I'm not a Phony. What I am happy about though, is that I showed up.